Does your brand look like garbage to your customers? 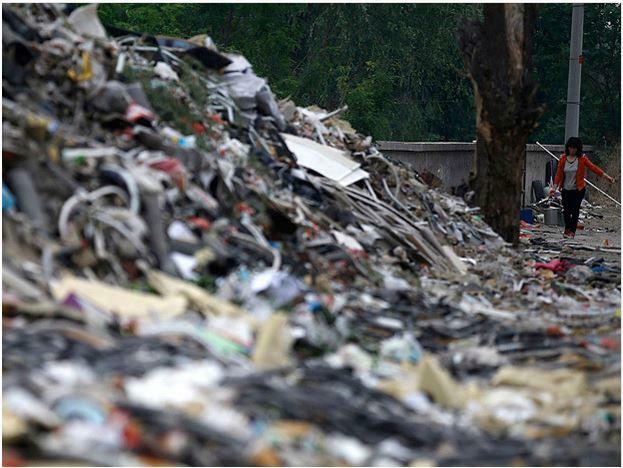 Mounds of garbage abandoned by recycling workers at Dongxiaokou, Beijing. Big brands spend millions on branding, packaging and marketing their wares. Yet when empty plastic bottles and bags end up scattered along beaches and parks, all that brand equity looks like nothing more than garbage. We talk to marketing leaders and sustainable brand experts to discover what sustainable product management means to today’s socially conscious consumer, and why it’s more important to embrace it as part of brand strategy than ever before. The waste epidemic and its impact on the environment is increasingly in the media spotlight, with Clean Up Australia estimating 1 trillion plastic bags are used and discarded worldwide every year. To make matters worse, Australians are now listed as the second highest producers of waste per person in the world after the US. The stats are simply staggering. Australians produce over 18 million tonnes of waste per year, or the equivalent of three million garbage trucks full of compacted rubbish. Each Australian family contributes enough rubbish a year to fill a three-bedroom house from floor to ceiling and Australians use enough plastic bags per year that if these were tied together, they would stretch around the world 24 times. But consumers are finally waking up to the fact that both individuals and brands must take responsibility for cleaning up their act. In March, global protests pushed Samsung to outline its sustainability plans to recycle the 4.3 million Galaxy Note 7 devices produced and recalled worldwide following battery faults. The tech giant also joined new research conducted by the European Union aimed at developing a new environmentally friendly technology to recycle smartphones. This came nearly five months of campaigning and global protests addressing the environmental impact of the recall. 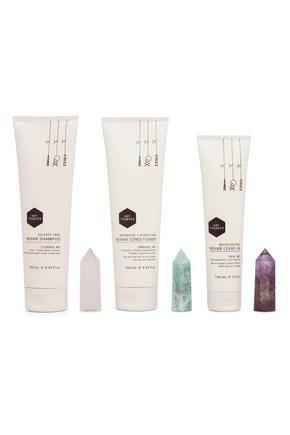 In order to meet the expectations of customers and retailers, Quinn says Hot Tresses is both eco-luxe and vegan, uses 100 per cent recyclable tubes, and prepares all online orders using compostable packaging consisting of natural cardboard and wood wool. The range is also presented in organic calico bags that double-up as nut-milk making bags or strainers. In an age of corporate social responsibility, Quinn stressed it’s important to stand for something as a business. FMCG packaging company, Zacpac, has also noticed recycling and sustainability practices playing an increasing important part in business decisions when choosing the right packaging manufacturer. Bands and retailers serious about meeting increasing consumer expectations around sustainability are making leaps and bounds into ethical packaging that minimises environmental impact. Australian e-retailer, Flora & Fauna, prides itself in working only with ethical vegan and cruelty free skincare, beauty, fashion and lifestyle brands as part of its mission to change the way consumers shop in a sustainable way. Flora & Fauna sells more than 120 brands and 2500 products and Mathers says the retailer actively seeks out brands focused on biodegradable or sustainable packaging. “We have many zero waste products packaged with recycled paper or no packaging,” she says. “We have also just started stocking a face lotion that comes in a biodegradable 'plastic' tube and a lot of our products come in glass. Having an ethical packaging model has not only added brand value and equity to Flora & Fauna, it’s also been an integral part of boosting customer loyalty and retention, Mathers claims. “Our retention is high and our ethical packaging, and focus, is a core part of our brand, and our customers know us for being ethical and responsible,” she says. “The feedback we receive is never around price, it is always around the customer experience and beautifully, ethically wrapped parcels. As a result of this strong and consistent ethical focus, the retailer has just been shortlisted in the World Retail Awards as Responsible Retailer of the Year alongside heavyweights such as Otto, Myer, Carrefour (France) and Woolworths (South Africa).